Michigan has the best fly fishing in the country! That’s what Field & Stream magazine declared earlier this month as anglers across the Midwest prepped for their annual pilgrimages up north for the opening of Michigan’s fly-fishing season, which is April 30 this year. Fishing in Michigan also is an incredible bargain – a bargain that’s too good to be true. Our fly fishing is better than that in the national meccas of Montana, Wyoming, Idaho, Colorado, California — and every other state. So says Field & Stream. Yet, among Field & Stream’s top 12 fly-fishing states, Michigan has the very lowest license fees for out-of-state residents. We’re marketing our fishing resources nationally through the Pure Michigan ad campaign. National pundits declare us No. 1. And we’re virtually giving away the privilege to fish here. Visiting Michigan to fly fish is like getting Orvis-quality gear at the dollar store. And this pricing structure is damaging the very fisheries resource the national pundits are applauding. Michigan last raised its fishing license fees for both residents and non-residents back in 1996. Then, a gallon of gasoline cost $1.23 on the fishing season opener, according to federal data. It’s pushing four bucks a gallon this year. To have kept up with inflation since 1996, fishing licenses in Michigan would now cost $40 for state residents and $60 for non-residents, according to federal inflation calculators. Yet staffing in the Fisheries Division is down more than 25 percent from a decade ago, according to administrators. Fisheries biologists seen at recent fly-fishing shows and fishing club banquets complain they no longer have the resources to do their jobs. They have sparse work crews, if any, for habitat and stream improvement work and less money for traditional mainstays like fish counts, which help determine the health of fisheries. Five years ago, a license fee study group including DNR officials, the Michigan United Conservation Clubs, Trout Unlimited, charter boat captains, tourism industry officials, the Michigan Farm Bureau and numerous other groups of outdoor sports enthusiasts strongly recommended increasing Michigan resident fishing license fees from $28 to $40 and non-resident fees from $42 to $80. Here’s their now very dusty report. They warned Michigan would ignore both basic economics and natural resource needs if license fees were not increased. Their hunting and fishing license fee increase died in the Legislature in 2007, thanks in large part to opposition from the powerful National Rifle Association. Tom Kinnear, a renowned marketing strategy professor at the University of Michigan’s Ross School of Business, is merciless toward students who suggest that the quickest way to more customers is low prices. “Any idiot can lower price,” Kinnear likes to say. Instead, Kinnear argues, it’s far more strategic and profitable to know your customers, what they want and what they’re willing to pay, then provide a differentiated product worthy of a premium price. So, if Field & Stream says we’re the best fly-fishing state, why do our non-resident fishing licenses cost half what it costs a Michigan resident to fish in other leading states? 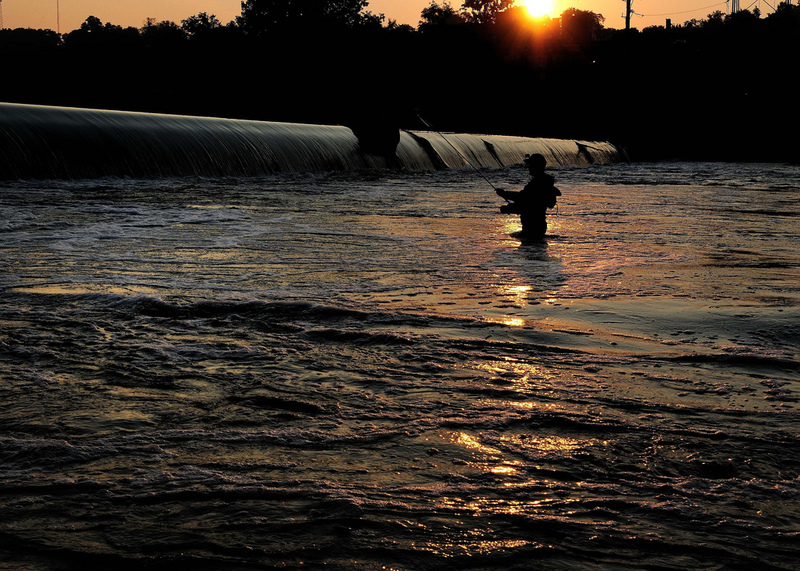 If Michigan ranks first, California 10th, and Colorado ranks sixth for fly fishing, why do residents of those other states pay 30 percent-50 percent more for the privilege of fishing their home waters? The Snyder administration and Michigan legislators who set fishing license fees might take a page or two out of Tom Kinnear’s marketing strategy lessons: Any idiot can lower price. But it will take true geniuses to maintain anything even approaching nation-leading, “Orvis-quality” state fisheries on a “dollar store” fisheries budget. I don't typically advocate spending more money, but as an annual buyer of an out-of-state fishing license, I can tell you that when you consider the amount I spend at Grayling fly shops, gas stations along the way, and all the other costs of getting onto the water, I would not blink at spending twice as much for a license to help ensure there will be fish in the water. And yes, doubling the cost would put my Michigan license in the same range as my Wisconsin fishing license and other out-of-state fishing licenses.